Hello everyone, and welcome to this week’s prayers for the week post. Today I’m taking a moment to talk to you about why I’m a Christian. It’s something that I feel strongly about, and pray that it may lead you to examine your own reasons for why you are a Christian — or if you aren’t one, to reach out to us and ask any questions you have about how you become one. When I was a child, my family really didn’t go to church very often. Most of the times we did go to church were for weddings or funerals, so not very often at all. I don’t write that as a way of judging why my parents didn’t take us to church. I write it because to me it shows all the more the plans God has for me, and how He is going to see them through to fulfillment regardless of me. One of the reasons I’m a Christian is because God’s Word speaks to us today just as it did to others thousands of years ago. Jeremiah recorded the words of God to His people, the Israelites, when they were exiled to Babylon. 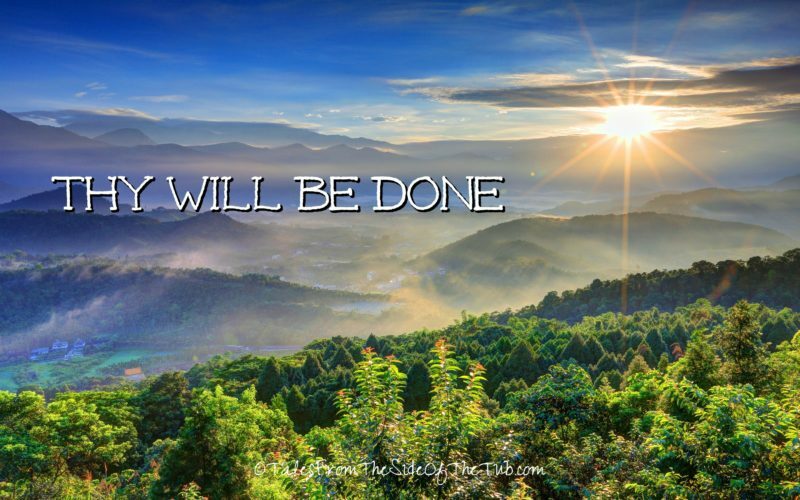 Although those words were spoken thousands of years ago to a people that was disobedient and ended up in exile, still God tells His people that He hasn’t given up on them, that He will restore them, and it will be because they turned back to Him. In the same vein, those words are written for us in today’s day. 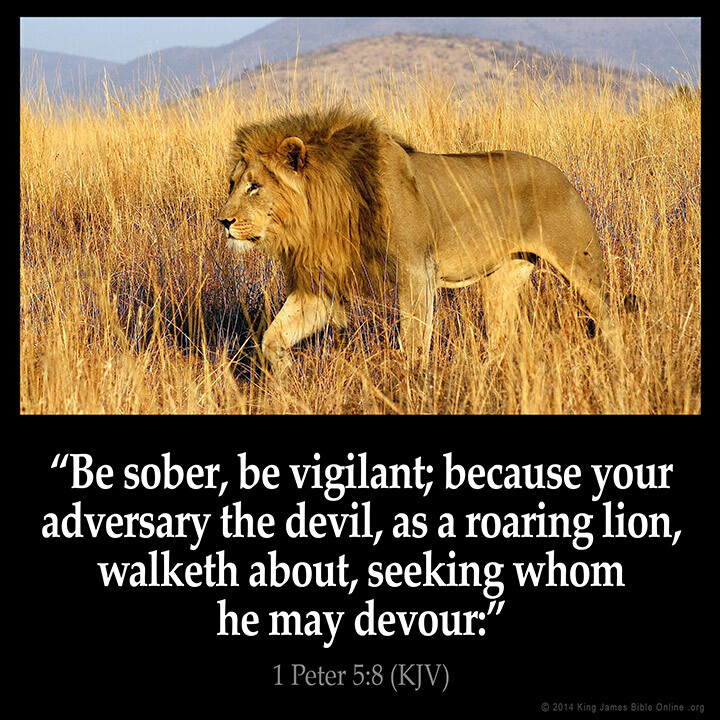 We are often just as disobedient as the Israelites were, and with the state of the world today, you can certainly make an argument that God has turned His back on us. But despite that, God’s promise from yesteryear is very much in evidence today. When I lost my job at UNC-TV because management decided to outsource to an out of state company two years ago, I really had a sense of fear. How was I going to support my family? How were we going to be able to keep our home? What was going to happen with Sophie’s plans for school? Well, what I know is that the plans I had to accomplish those things really weren’t my plans at all, they were God’s plans. God knew and God knows what we need in our lives. The short answer to this long-winded discussion is that the reason I’m a Christian is that God provides me and my family with the hope we need each and every day. God knows — and we have learned — that our time on this fallen world is short, and that our real home is Heaven. The hope we have in Jesus is a hope like none other, and it is in that hope that I am a Christian. Now, please put your hope in Jesus as well, and please pray with me these prayer requests and praises. Lastly, Jo has a prayer request for financial blessings for her family. Hello my friends, and welcome to this week’s prayers for the week post. The powerful words above is a story that all of us that have opened a Bible have probably heard or read about, myself included, but there are times when you hear the story preached to you and you immediately see all sorts of things that you had missed before. That happened to me this past Tuesday night, when the Rev. Neal Jeffrey gave the message at The Men’s Study Bible Study. Friends, there are just twelve verses of Scripture in the tale of Jesus walking on water, but contained in those twelve verses is enough power to open the eyes of almost anyone. Have a look with me at some of the important points that I re-learned, thanks to Rev. Jeffrey. Jesus gave the disciples instruction, and they did so immediately. After He was alone, Jesus did what comes so naturally to Him; He Prayed. If only we were as faithful in our prayers as Jesus is in His! The boat was assailed by the storm on the water, and was far away from shore. Jesus came to them on the water, walking on the surface. It was a miracle! The disciples didn’t recognize Him; they thought He was a ghost. Jesus spoke to them, though, telling them that He was there. Peter then tested Jesus, telling Him to command he come to Him if it was really Jesus out there. Jesus commanded Peter to come to Him, and Peter did — he walked on water also! Another miracle! But then, Peter took his eyes off of Jesus, and just like all of us when we take our eyes of Jesus — he ran into trouble, just as we do. But most importantly, though, Peter cried out for Jesus to help him — and Jesus immediately helped him! Afterwards, the wind died down, and those in the boat worshiped Jesus. My takeaways from those verses can be summed up in just a couple of more sentences. When Jesus gives me instruction, I should do so immediately. Don’t put it off until later. I should always make time to pray. I should ask God boldly for things — don’t be afraid to step out of the boat! I should keep my eyes focused on Jesus, but if I falter, I should ask Him for help, because He will help immediately! Lastly, I should always worship God and His Son, Jesus! Thank you for reading along with me, now, please continue to pray for our prayer requests and praises. Lynn starts us off with a prayer request for her family: If you could, please pray for me and my family. My grandmother passed away Wednesday night and today we would have been celebrating her 94th Birthday. She passed away only 3 hours before her birthday. I know she is having the best birthday celebration ever right now. I have always been so very close to her. Lynn also has a prayer request for her friend: Please pray for my friend. We went to high school together. She is 40 years old and recently found out she has breast cancer. She is having surgery this morning. They will be taking her back between 7-8 this morning. And please pray for her family. She has a husband and two kids. The praise is that the surgery went well, so keep praying for Lynn’s friend and her family. Thank you! Last week we prayed for Lynn’s uncle, who had fallen. He had some serious complications which included being taken to ICU for a spell, but he is doing much better, so Praise be to God for that! Please keep praying for Lynn’s uncle and his recovery! Please pray for my friend Lindsey, recently was the one year anniversary of her sister passing away. Please keep them in your prayers as they continue to walk forward but remember their loved one. Please continue your prayers for Brandon, who was listed as a prayer request last week. Also, please keep praying for all of the people that have been listed on here at some point or another, pray for their healing, for their families, pray for those that are lost, and for those that don’t know what to pray or how to pray. Prayers for the Week: What is Faith? 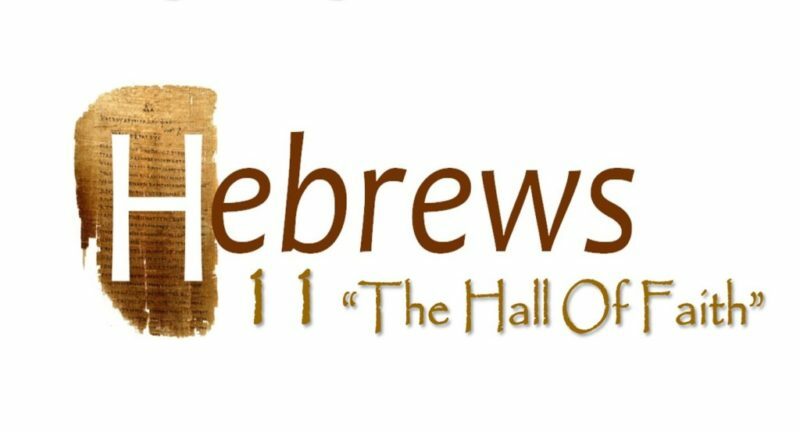 The words of Hebrews 11 are many, but they are necessary for us all to read. It is in these words that we understand just how much faith the men and women of the Bible had in God. When I read these words, I was reminded that all of these men and women faced a multitude of success and failure in their lives, and that there were times when their faith kept them whole. Abraham was told to go off with Isaac and sacrifice him to God. 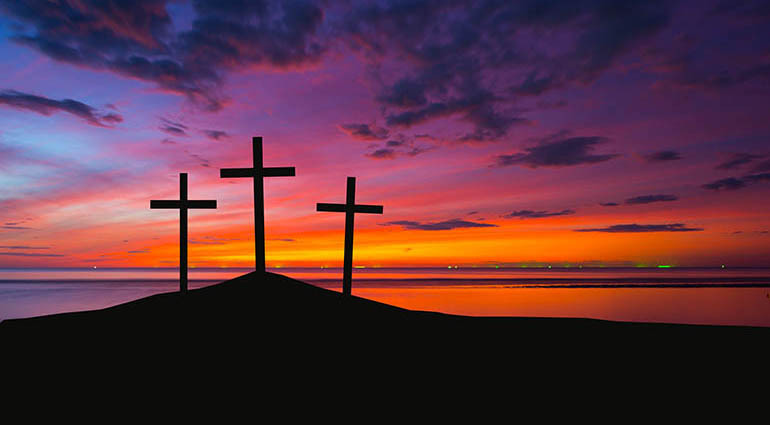 Abraham went off to do just that, knowing by faith that God would not let him down, and would not take the son he had waited 100 years for from him and Sarah. And God acknowledged that faith by staying Abraham’s hand and providing a lamb for the sacrifice. Do you count yourself as a Christian? If so, how is your faith? More importantly, how is your faith when the bad times roll around? Remember the words of Hebrews 11 and look to the heroes of the Bible for how and where they placed their faith. Now, please continue reading and praying our prayer requests and praises. Vonni starts us off with a series of prayer requests for a friend of hers and his son Brandon: This is not my son but my friend, Randy’s son. It’s terrible. Thank you, friends. BRANDON had Surgery yesterday. He survived and is holding his own. He is back in Neuro ICU where he is sedated and resting. Thank you for every Prayer and dollar towards his care. —RandyThank you all for continuing prayers. Lynn’s uncle had an accident, fell, and needed hip replacement surgery. The surgery went well but he’s experiencing complications, please pray for Lynn’s uncle to recover completely. Please pray for my friend Lindsey, yesterday was the one year anniversary of her sister passing away. Please keep them in your prayers as they continue to walk forward but remember their loved one. Please pray for all of those that are lost, for those that need to regain their walk, and for those that don’t know what to pray or who to pray to. Please pray for all of the unsaved, for those that don’t think they need this salvation, and please pray for all of us that have salvation but are under attack from the evil one. Thank you all!